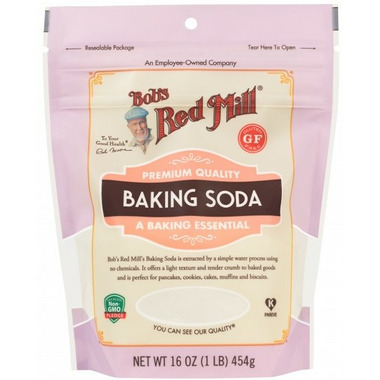 Bob's Red Mill Baking Soda is plain bicarbonate of soda, a top quality leavening agent, used in combination with buttermilk, cocoa, and other acidic ingredients for baking. Baking soda is often found outside the traditional cooking arena such as in hair care or skin care products. Learn how to make 5 all natural DIY bath additive recipes on our blog, The Well! For health (skin and ingestion) this food grade Bicarbonate is preferable because it is naturally mined compared to AH that is manmade = produced chemically (which is fine for cleaning).